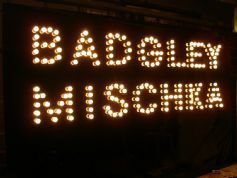 Bulb Signs are becoming more frequently requested as the sign industry moves into an adventurous age of illumination. Customers declare more unusal signs by the day and expect more choice for their money. Bulb signs hold the 'X' factor of any sign available on todays market. 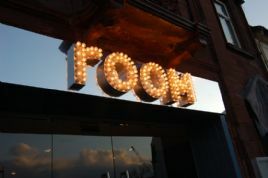 Being bright, effective and eye-catching these signs really do push the limit on any shop front. Being bright, effective and eye-catching these signs really do push the limit on any shop front. Used a lot in Vegas and on amusement seafronts these bulbs can be turned into much smaller hangable signs for shop windows or fascia displays. 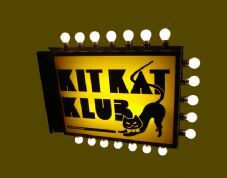 Many clients like Agent Provocateur, Selfredges and the MTV Music Channel have ordered these effective bulb signs from us in the past. Lightbox bulb sign available in 3 sizes and 3 colours. This eye catching bulb sign can be supplied in single sided or double sided. Bulb signs were the first illuminated signs long before neon. 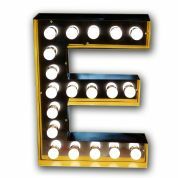 Bulb signs, using Carnival bulbs, LED's are a great way to attract attention with static or flashing bulbs formed into letters or shapes. © Copyright SignBuyer.co.uk. All rights reserved.